No matter how much time you have in Peru, whether it's just a few days or a few weeks, this country can offer some unforgettable experiences. With just three or four days and good planning, it's even possible to visit the national highlights of Machu Picchu and the Sacred Valley. With a week or more the experiences just get better, allowing you time for historic cities and off-the-beaten-path adventures. Use this guide to help you make the most of your visit. 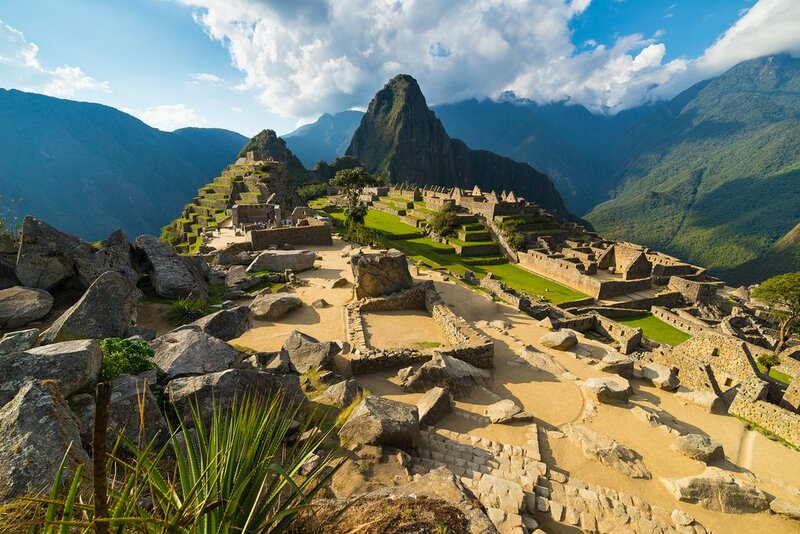 Despite its remote location, Machu Picchu can be visited even on a short trip to Peru. A long weekend in Peru means you are short on time, but it’s possible to pack in the highlights of Cusco and the Sacred Valley in just a few days. Fly straight from Lima to Cusco and spend a day discovering the city’s colonial Spanish architecture and Inca heritage. Spend day 2 in the Sacred Valley, taking in Inca ruins at Pisac and the indigenous market. Alternatively, head straight to more impressive ruins at Ollantaytambo. Stay overnight in this endearing town and spend the morning exploring the amazing Lost City of the Incas at Machu Picchu before heading back to Cusco to fly back to Lima. If you've already seen the Machu Picchu region or would like a different short stay itinerary, head south of Lima to the Paracas Reserve and Islas Ballestas where you can watch sea lions and penguins. Then drive through the Ica Desert and take a flight over the incredible Nazca Lines. These ancient geometric shapes and depictions of animals, best viewed from above, have fascinated archaeologists for generations. Alternatively, head north-east from Lima to the Cordillera Blanca mountain range. 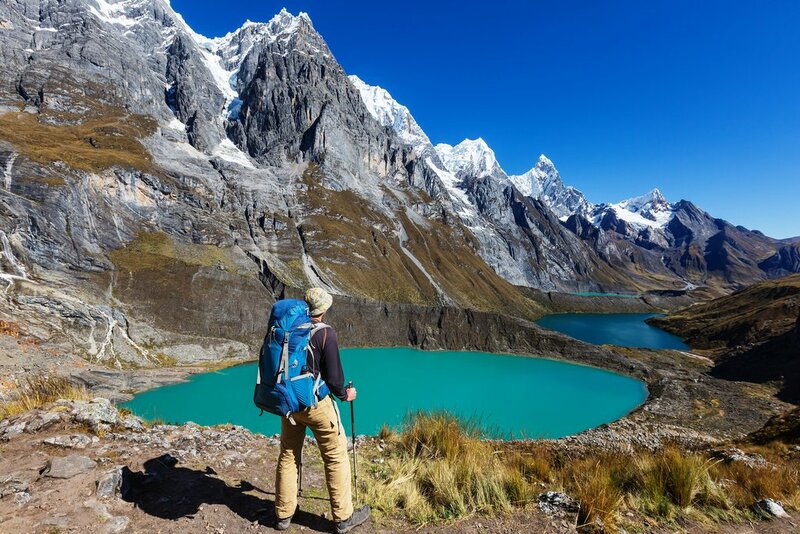 Stay in Huaraz and spend a couple of days trekking through breathtaking scenery in Huascaran National Park. It’s far more preferable to spend up to a week in Peru, giving you more time to explore the Inca highlights. Take your time spending two days exploring Cusco – as well as the Cathedral and Coricancha in the historic center, don’t miss the ruins of Sacsayhuaman on the city outskirts where the Incas made their last stand. Linger longer in the Sacred Valley – the ruins and market of Pisac, the agricultural terraces of Moray, the salt mines at Salineras and the fantastic ruins of Ollantaytambo. 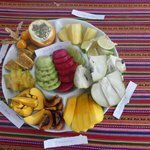 Stay overnight in Aguas Calientes to have more time exploring Machu Picchu before returning to Cusco. An alternative to this itinerary is to spend up to four days hiking all or part of the Inca Trail. There are three trails to choose from – the classic Inca Trail gets booked up so must be reserved in advance. You can also try the more spectacular Salkantay Trek or the Jungle Trek. All of these culminate in a visit to Machu Picchu. You can also mix in some biking on your way to Machu Picchu with a 6-Day Multi-Adventure Route. If you have already seen the highlights around the Sacred Valley and Machu Picchu, consider going off-the-beaten-path with a one-week trip to northern Peru or a journey along the coast from Lima to Tucume. 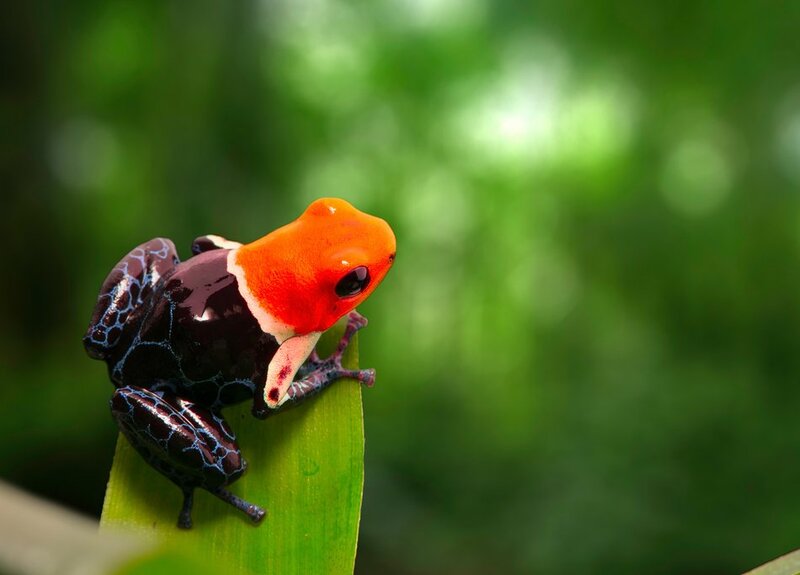 Extraordinary wildlife, such as poison dart frogs, can be seen on a visit to the Peruvian Amazon. In 9-12 days, you can see the highlights of two regions of Peru. Combine five days in Cusco, Machu Picchu and the Sacred Valley (see itineraries above) with either Southern Peru or a trip to the jungle. Drive south of Lima to see the wildlife of Paracas reserve, then explore the Ica desert on a dune buggy before flying over the incredible Nazca Lines. Head into the Andes to explore one of Peru’s most beautiful cities, Arequipa, in the shadow of the volcano El Misti. Nearby, you can explore the depths of the Colca Canyon and watch condors take flight. An alternative 10-day itinerary in the south is to take the train south of Cusco after exploring the Sacred Valley to stay in Puno in the high plains. This is the best base to explore Lake Titicaca, one of the world’s highest lakes. 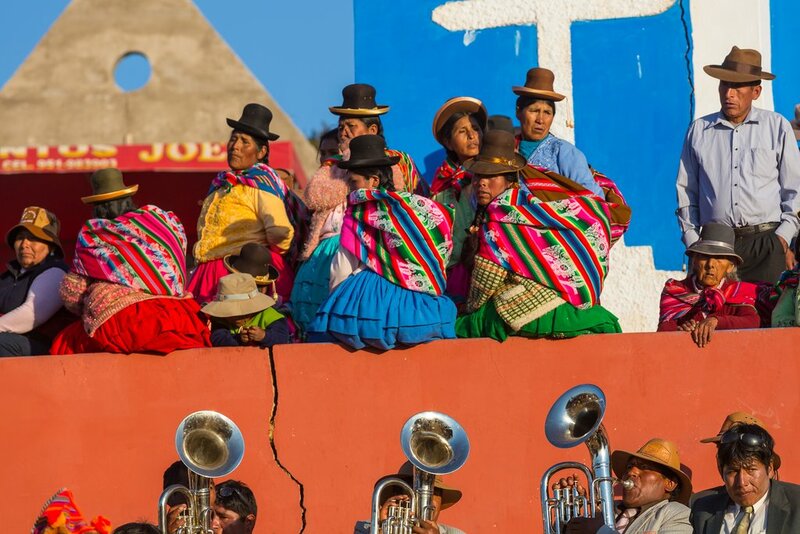 Visit the Floating Islands inhabited by the Uru people and stay overnight on Isla Taquile or Amantaní before returning to Lima. The natural wonders of the Amazon jungle can be easily explored in 4 or 5 days by flying from Cusco to Puerto Maldonado, the gateway to lodges in Tambopata Reserve. Enjoy climbs up canopy towers, jungle hikes and canoe trips. Active travelers can consider a 12-Day trip that includes mountain hikes and jungle treks. And hikers may want to explore some of Peru's backcountry—one option is the 5-Day trek into the Cordillera Huayhuash. A two-week trip to Peru can include a trek deep into the Cordillera Mountains. Two weeks in Peru gives you enough time to explore three regions of Peru or to linger for longer in two regions. It’s possible in this timeframe to explore the best of Cusco and the Sacred Valley, highlights of the south such as the Colca Canyon, Lake Titicaca and the Nazca Lines, and still have time to explore either the jungle or the lesser-known northern region. Northern Peru has a wealth of archaeological attractions and some historic cities. Take in the colonial center of Trujillo before exploring the surrounding ruins – the mounds at Huaca de la Luna and the huge city complex at Chan Chan. Further north, discover the Moche tombs at Sipan just outside Chiclayo, the charming colonial city of Cajamarca and the Chachapoyan ruins of the Fortress of the Cloud Warriors at Kuélap, a huge stone citadel which rivals Machu Picchu in size. There's a lot to see in the region – enough for a two-week trip around the north. If you have more time, then you can go deeper into the Amazon jungle, either by flying to the northern city of Iquitos and heading to a lodge on the Amazon River itself. Alternatively, head to Manu National Park via Puerto Maldonado and stay in a lodge for five days immersing yourself in primary rainforest. Or you can spend all of your time getting deep into the backcountry with an adventure tour that combines rafting, fly fishing, biking and other activities. The Cordillera Blanca, the highest tropical mountain range in the world, offers excellent options for multi-day treks. Many travelers pass straight through the capital Lima en route to more attractive cities but if you are spending two weeks in Peru then there is more than enough in Lima to keep you busy for a day at least. Tour the colonial center before feasting on some of the best seafood in Latin America.